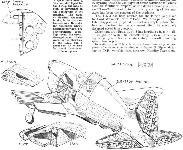 TO many ways of thinking the most intriguing light racing machine seen in this country since the days of the original D.H. Tiger Moth monoplane is the diminutive ДальшеMore>>> T.K.4 designed and built by students of the De Havilland Technical School at Hatfield. 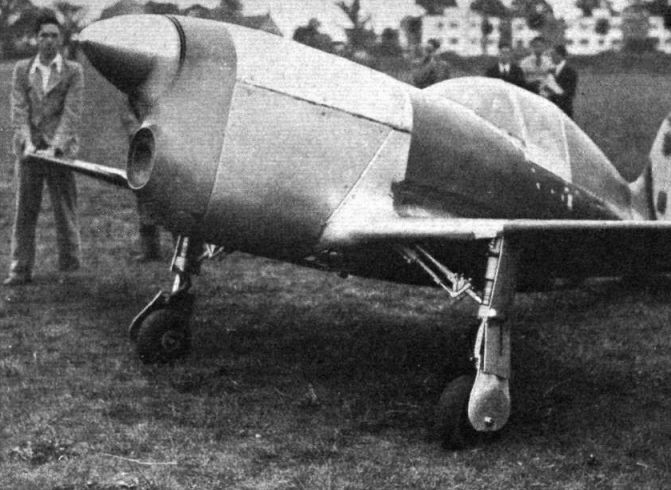 The machine is of interest not only on account of its unique features of design and construction, but because it is the smallest aeroplane ever built in Great Britain. 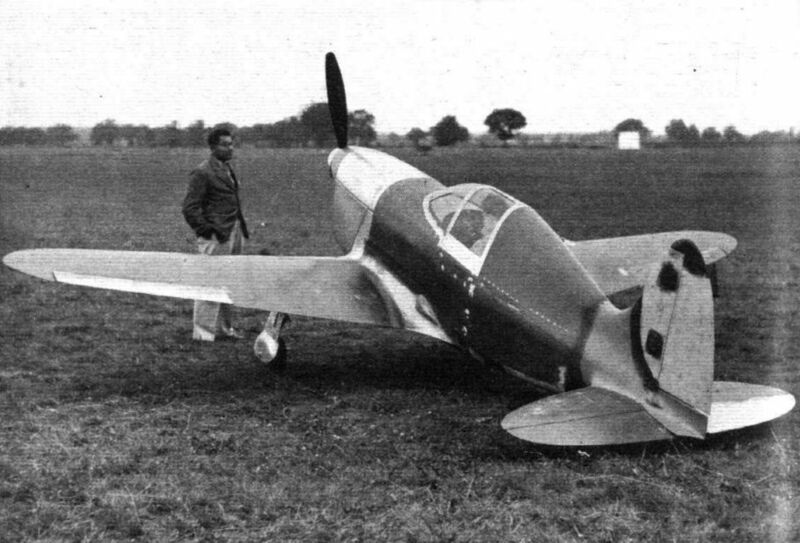 A few of the home-made terrors conceived each year just before the American National Air Races may possibly have been tinier, but none has shown such practical originality as the T.K.4. From the very beginning the machine, which should be flying as this issue goes to press, has been the students' "pigeon" entirely. Sqdn. Ldr. O. W. Clapp and Mr. E. W. Dodds have, of course, seen to it that the youthful technicians have not strayed from the straight and narrow path which leads to success in aircraft design, but everything from the 400 pages of stress calculations (which took six months to prepare, as the detail stressing is quite exceptionally thorough) to the final polishing of the surfaces has been the concern of the students. 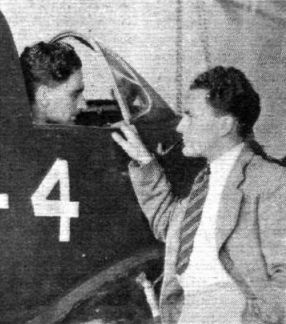 The T.K.4 has been entered for the King's Cup Race by Lord Wakefield, with "Bob" Waite as pilot. Sqdn. Ldr. Clapp is not prepared to disclose complete data, but has no objection to the statement that the machine's designed speed is 215 m.p.h. Other data are: Span, 19 ft. 8 in. ; length, 15 ft. 6 in. ; all-up weight, 1,180 lb. ; full-throttle range, 450 miles; cruising range, 500 miles; absolute ceiling, 21,000ft. ; landing speed, 62 1/2 m.p.h. 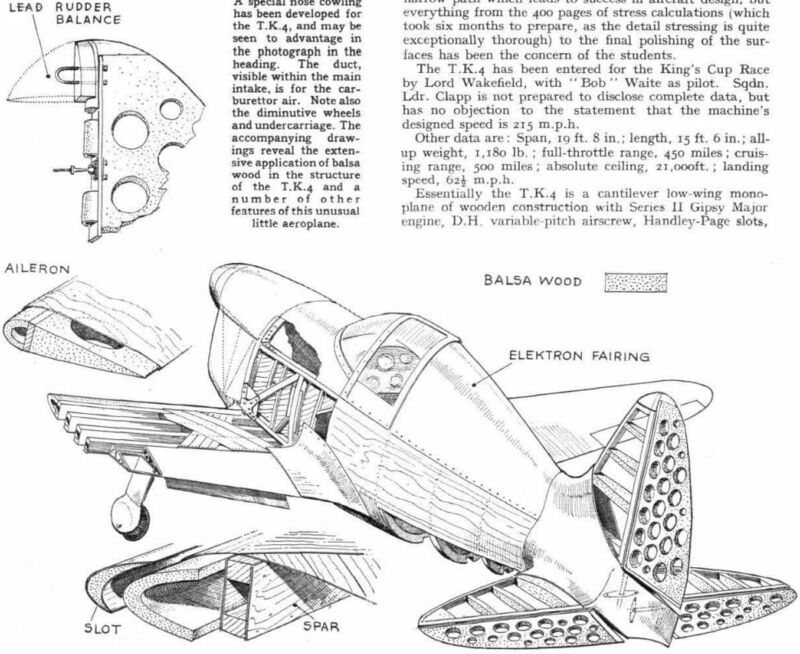 Essentially the T.K.4 is a cantilever low-wing monoplane of wooden construction with Series II Gipsy Major engine, D.H. variable-pitch airscrew, Handley-Page slots, flaps and a retractable undercarriage. The fuselage is deep in relation to its length. A semi-monocoque structure, it has four longerons, spruce formers, and is ply-covered throughout. It is continuous beneath the elektron fairing behind the cockpit. The T.K.4 is the first machine (apart from an experimental Dragonfly) to mount the new Series II Gipsy Major engine, this being carried on a straightforward tubular mounting. This unit has been developed on similar lines to the Series II Gipsy Six and, in addition to being equipped for the operation of the "1,000" size D.H. variable-pitch airscrew, offers a higher continuous output than its predecessor, although the maximum power available is rather less than from the high-compression Major I installed in the T.K.2. In essentials the engine in the T.K.4 is a standard product, but incorporates a few modifications to suit it to the particular installation. For example, the nose cowl is of special design, the carburettor air intake and the inlet for the cooling air being combined in a scoop of circular section. Eventually the air intake may be moved farther forward to within half an inch of the airscrew so that additional boost may thus be obtained. As the air scoop is of modified design it is provided with small doors for the inspection of the sparking plugs. The cowling is quite flush, the usual hinges and draw wires having been abandoned in favour of American Dzus fasteners. A very handsome spinner fairs the airscrew hub. 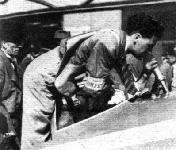 Twenty-three gallons of fuel are carried in a fuselage tank forward of the cockpit, and there is a cylindrical locker (which will probably be used for the stowage of a collapsible lifebelt) behind the pilot's parachute seat. The moulded Perspex windscreen is of fine aerodynamic form and must have presented quite a problem with its double curvature. A special quick-release device is incorporated in the coupe head which will have, in addition, a Sorbo pad to protect the pilot's cranium in bumpy conditions. Teleflex controls are used throughout. Fore-and-aft control under various loading conditions is facilitated by a spring-loading device which gives an initial tension. The usual instruments are fitted. There is an ingenious locking device to ensure that flaps and undercarriage are not pumped down simultaneously, and in addition a push-pull lever is provided to lock the wheels in the raised position. The wing has four spars and is covered on its upper surface with two laminations of spruce set at 45 degrees, the lower surface having ply covering. The section is symmetrical. Solid balsa wood is used for the tips, which extend inboard to the ailerons. The leading edge is of solid balsa. The tailplane is covered with ply which is supported on three balsa ribs, one inch wide. A particularly interesting form of construction is used for the control surfaces, these being virtually sandwiches of solid balsa between outer layers of three-ply which take all loads. A balsa-ply combination is used extensively in the Albatross. Special tests were necessary in this connection as normal stressing methods were not applicable. The H.P. slots are quite automatic and are possibly the smallest of their type ever made, measuring only about 3 ft. in length. They lie flush with the wing surface when closed. The undercarriage retracts inwardly towards the fuselage and is probably the smallest of its type ever built. Two students were sent to the Dowty factory to prepare the detail drawings for this unit, the gear not being of standard type, and all the parts were made by the students at Hatfield, being sent to Dowty for assembly. Retraction is effected hydraulically. The bearing tube runs through the first three spars, there being a bearing in each. No brakes are fitted, but a spring tail skid is incorporated. A good impression of the T.K.4, piloted by Bob Waight, getting its tail skid off Hatfield Aerodrome at the start of the King's Cup Eliminating Race on Friday. 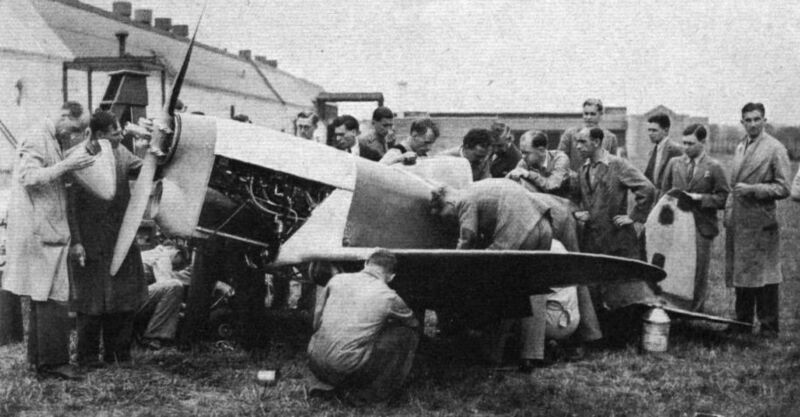 The T.K.4 built by D.H. Technical students. Seeing is believing: Waight looks into the fuel tank of the T.K.4 during replenishment at Renfrew. 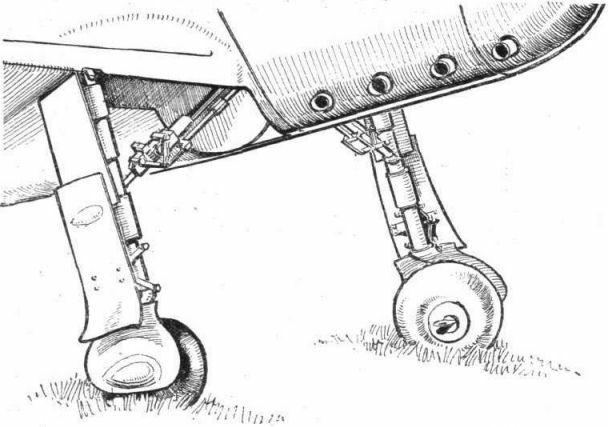 The makers of the Dowty undercarriage have co-operated with the D.H. Technical School students in the design of the inward hingeing retractable legs of the T.K.4.